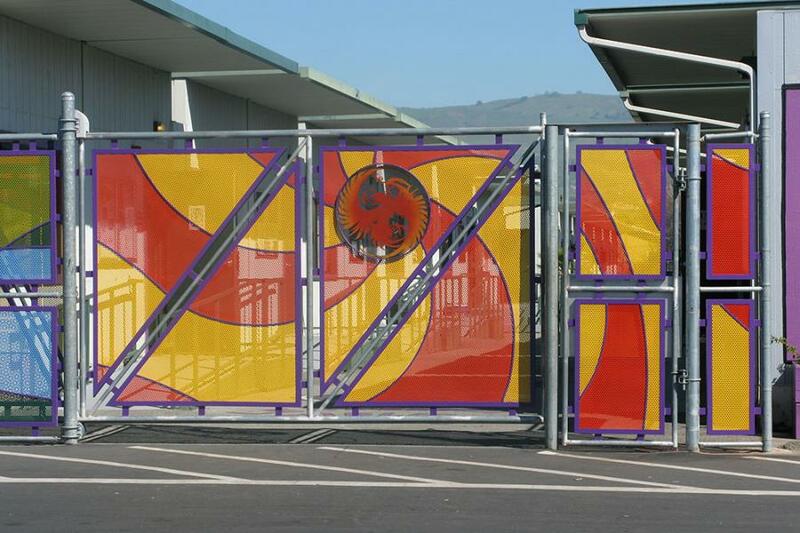 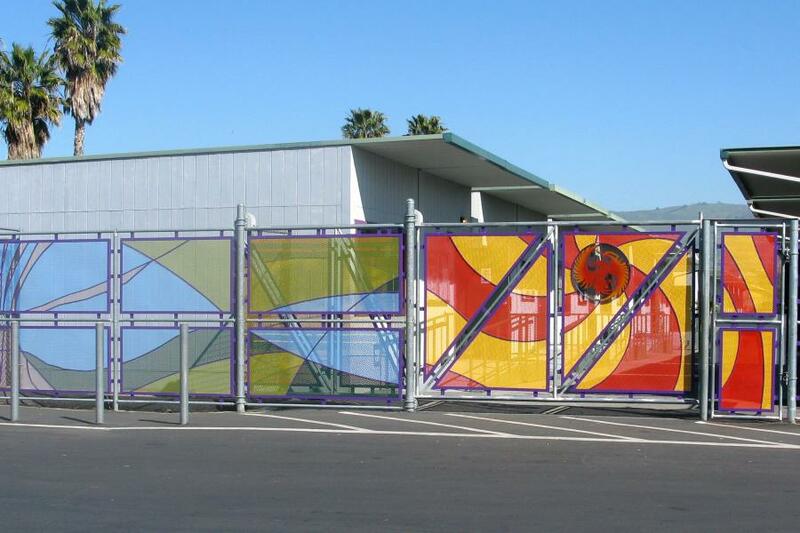 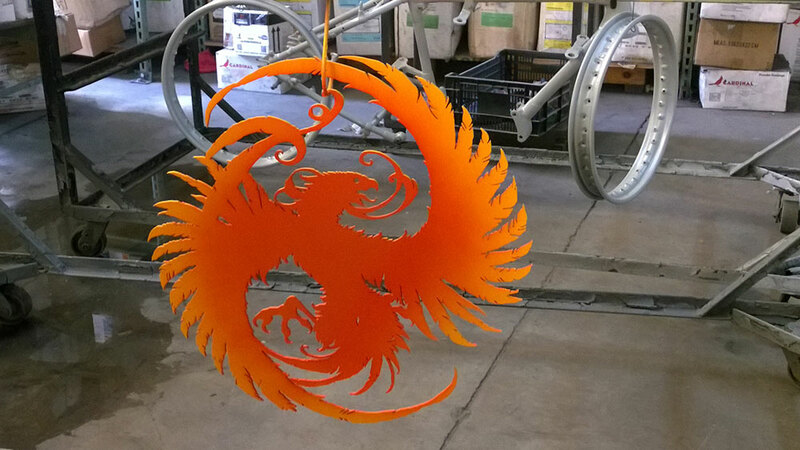 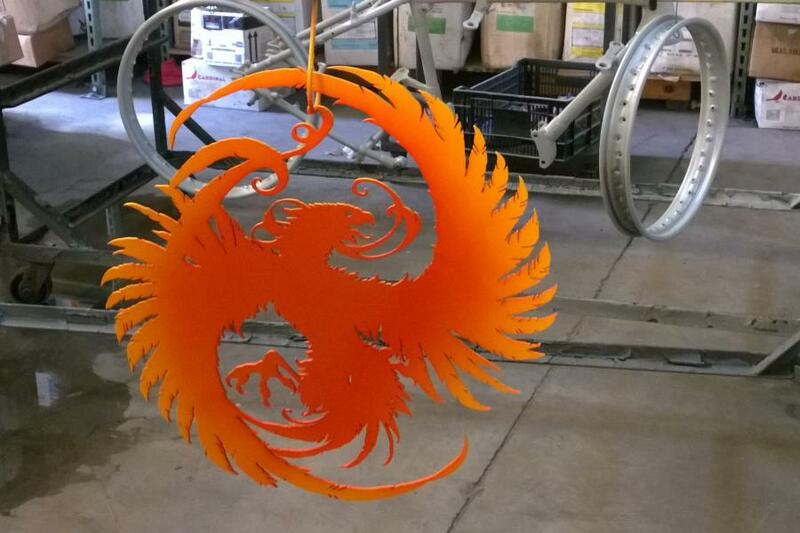 New art fence & gate for Leadership Public Schools in San Jose, CA. 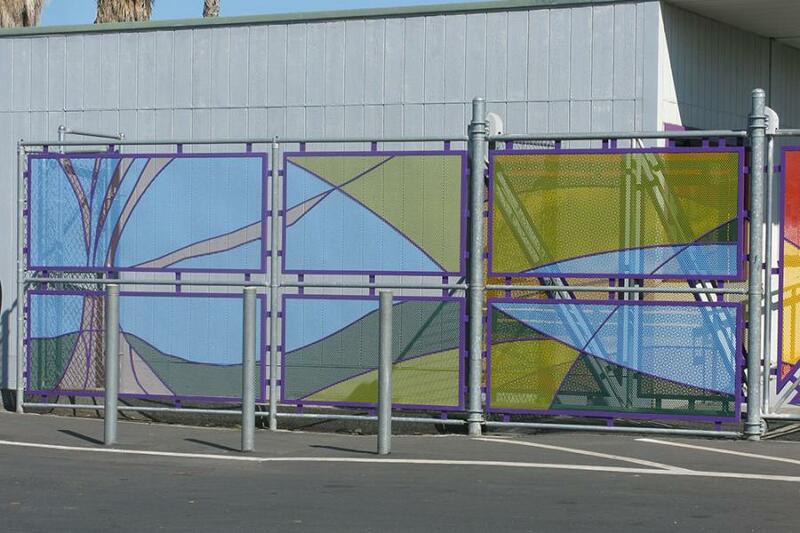 This art fence replaced a chain-link fence adding interest and excitement to the LPS campus. 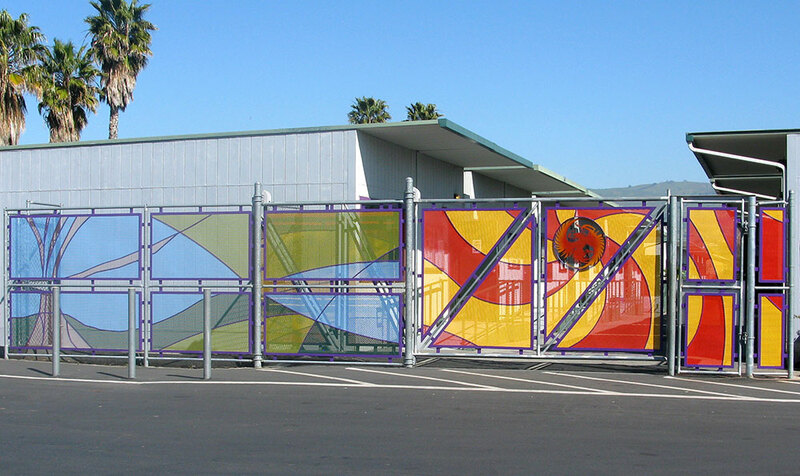 While the primary function of the fence is security, it also provides a playful face for the school and its community.